Professor Emeritus William W. Gifford, who taught creative writing and Shakespearean drama in the Department of English for more then 40 years, died this August. 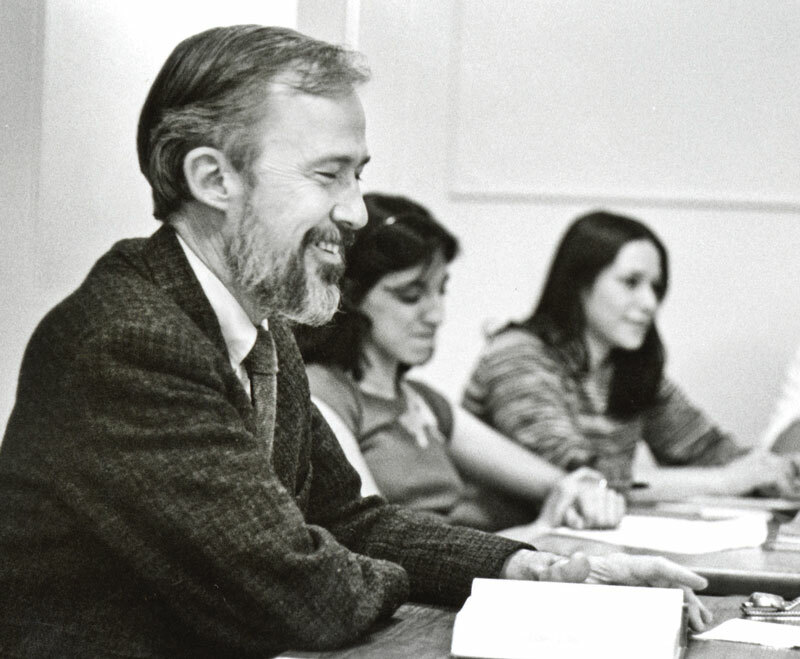 A number of the beloved teacher’s students—including Lucinda Franks ’68, who contributed the remembrance below—have become successful writers and teachers and had remained in touch with him over the years. A memorial service will be held on Saturday, December 12, at 3 pm in the Vassar Chapel. In lieu of flowers, the family requests gifts to the William Gifford Fund for Writers-in-Residence at Vassar College. William Gifford was not just a professor, he was a teacher able to transform mediocrity into excellence. During my education, I had little encouragement to follow my passion to become a writer. When I gave my poetry to my freshman English professor, he advised me to try prose; when I gave him my stories, he suggested geology or engineering. Then, miraculously, Mr. Gifford accepted me into his senior creative writing course. He spent the year trying to convince me that I could write. Come my graduation, I believed him. And so I went on to live my dream, becoming a journalist and author. Mr. Gifford was not traditional; he did not pronounce, but coaxed ideas out of his students. He was a contemporary Socrates except that he never exposed a foolish opinion; he would just nod slightly and move on to something else. His gentle voice, gentle manner, and gentle response to his students’ writing were exceptionally powerful. His sharp wit was as inspiring as it was entertaining. He loved the quirky, the offbeat. Veterans David Carrell '16 and Joshua Ridley '17 cofounded Operation Veteran Admission, a program to help veterans enroll in college. Veterans share their memories—and their pain—in a writers' workshop called "Voices From War," run by Kara Frye Krauze '93.